Spend a romantic evening out in the heart of Downtown Wilmington with a visit to The Little Dipper. This charming fondue restaurant features heaping plates of veggies, breads, meats, and desserts that can be dipped into warm pots of gooey goodness. 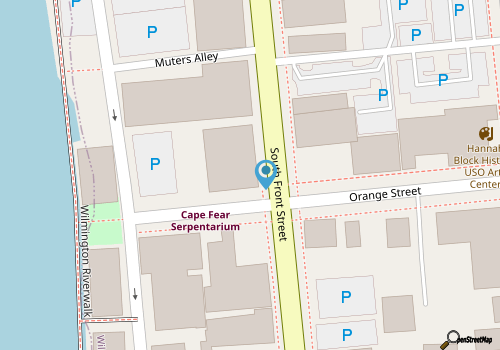 The Little Dipper has a perfectly central location that’s just a stone’s throw from the Cape Fear River along Front Street, and is therefore a perfectly convenient destination for Downtown Wilmington visitors. Once you’ve arrived at the cozy restaurant, the dining experience begins on a handmade table with at least one shared burner at the center. Then it’s on to a full range of courses that utilize a nice variety of the Little Dipper’s 17 different homemade dipping sauces, and an even bigger variety of fare to dip into the warm pot. The Little Dipper is set up with a three-course menu that includes an appetizer, a main entrée with proteins and veggies, and a dessert with tasty items like strawberries and marshmallows, although some dips can also be ordered a la carte for lighter appetites. Always an engaging experience from start to finish, The Little Dipper will make any Fondue newcomer a devout and loyal fan of this vintage but surprisingly elevated cuisine. Call (910) 251-0433 for current hours.